Austria’s government has agreed to legalise civil partnerships for gay couples. The law will come into force on January 1st 2010 if it is approved by parliament. However, it reiterates the ban on gay couples adoptingchildren or using IVF and artificial insemination. Instead, benefits granted include rights to social security claims, inheritance and court trials. Civil partnerships will not grant all of the rights available to heterosexual people. 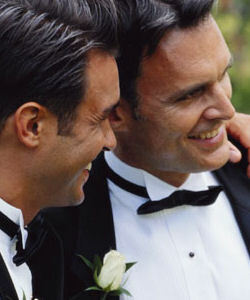 Gay couples will not be able to hold their ceremonies at civil registry offices, as heterosexual couples do. Instead, they will have to register at the municipal office or the magistrate’s office. Minister for women’s affairs Gabriele Heinisch-Hosek, had pushed for gay couples to be allowed to register in the same way heterosexuals do.